Search Results for "earth japan"
Loopable: Planet Earth / Earth from Space / Earth Globe. Simulated orbital space flight over the surface of the night planet Earth (South America, Japan, Russia, Europe and Africa) with the twinkling city lights and moving clouds. Earth connections. Asia. Japan and China. 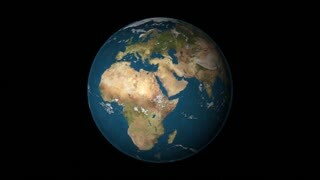 Animation of the Earth with bright connections and citiy lights. Aerial, maritime, ground routes and country borders. 2 in 1 file. Dolly and locked. Blue. Flying over the Japanese islands. Flight from Japan to Space. Clip contains japan, japanese, island, space, earth, pacific, aerial, map, satellite, orbit. Images from NASA. Flying over the Japanese islands. Sunrise over Japan. Clip contains japan, japanese, island, space, earth, pacific, aerial, map, satellite, orbit. Images from NASA. International Space Station in earth orbit, crossing over Japan 4k. Images courtesy of: Image Science and Analysis Laboratory, NASA-Johnson Space Center. Rotating Earth - Slow passage through Japan. Separate layer of moving clouds. High resolution map. Made using the largest Blue Marble raster 86400x43200 px map. Zoom to the Japanese islands. Clip contains japan, japanese, island, space, earth, pacific, aerial, map, satellite, orbit. Images from NASA.